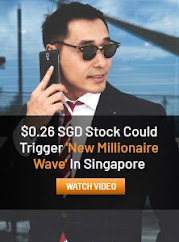 SG Budget Babe: RateX - Save money when shopping online with promo codes + lowest FX fees + cashback! RateX - Save money when shopping online with promo codes + lowest FX fees + cashback! 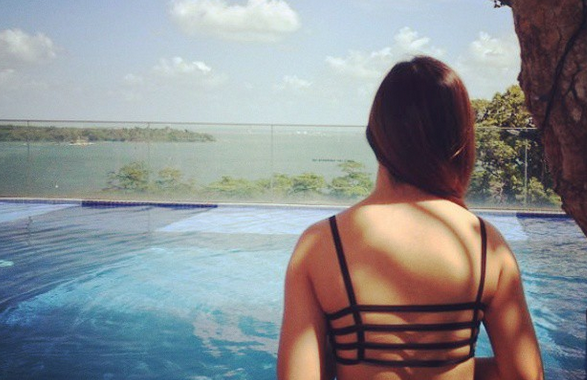 Tired of manually searching online websites for discount codes each time before you check out? 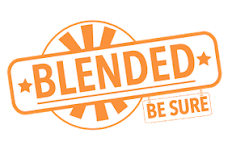 Well, now you can skip that whole process with just one click of the button, via RateX! 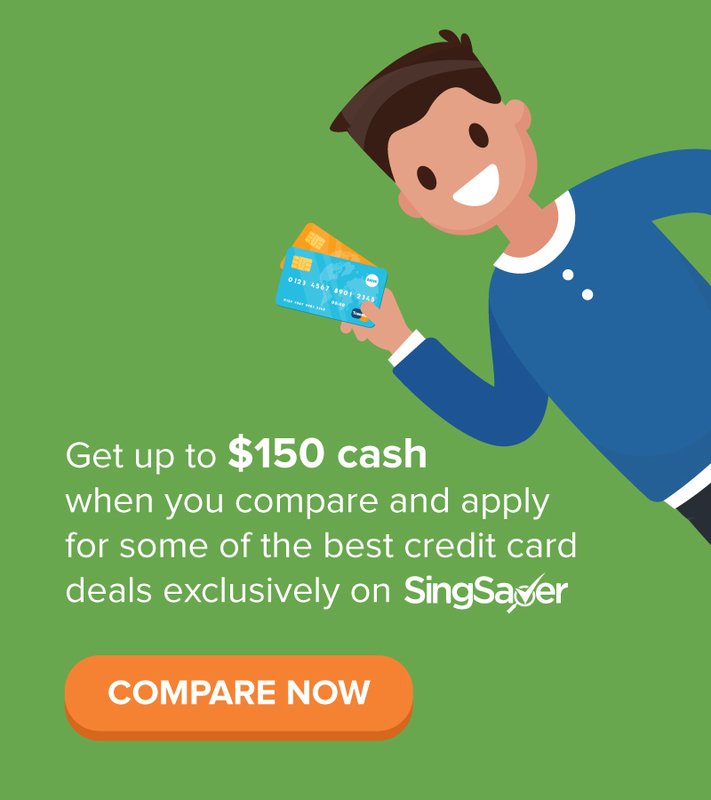 Pay the lowest exchange rate for supported merchants like Althea, Sephora, ASOS, Zalora, Agoda, Booking.com, Klook, Expedia, Hotels.com, Redmart, Lazada, Groupon, PhotobookSG and iHerb, etc. All you need to do is to download the online Chrome browser extension to start using it. You can use it to help you whenever you check out on any website to apply promo codes. 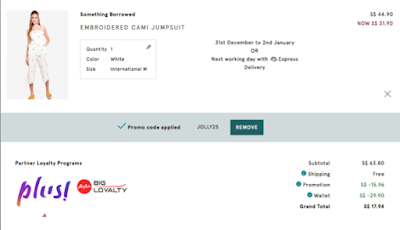 And, if the website is among their supported merchants list (see below), you'll enjoy an additional perk of being able to get cashback on your final purchase. - Choose to pay in FX with RateX via my CIMB Visa Signature Card for 10% cashback on my online shopping + double cashback via Clovers! For the travel hackers, do note that if you've been paying in foreign currency to chalk up more miles on your credit card, the RateX transaction counts as local currency instead. Upon reaching Amazon, just shop normally. RateX will show you the number of coupons available. If on supported merchants, RateX will “pop-up” to prompt you to “Activate Clovers” (cashbacK). After clicking “Activate Clovers”, it will show you how much of your total purchase you will receive as cashback. 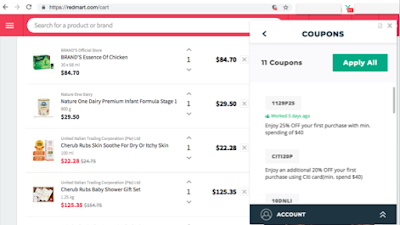 At checkout, RateX will appear again for you to “apply all” coupons. Wait for RateX will go through all available codes. If there are no valid coupons and you're on an overseas site, you can proceed to pay through RateX (credit card or wallet top-up) to enjoy the lowest foreign exchange fees. You can also compare all the different banks’ FX rates and Amazon’s native dynamic currency conversion rate too (click the ‘i’ button). If a valid coupon is available, it immediately applies it and deducts the discount off your total purchase. View how much you've saved with RateX discounts and proceed to confirm your order. 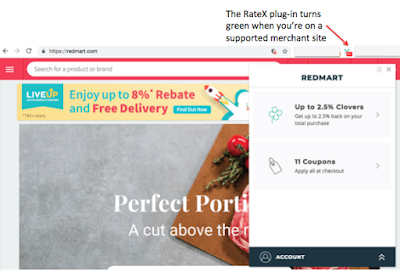 The user interface is really simple as Ralph (aka RateX your online shopping assistant) will pop up on relevant pages to remind you to apply the coupons and/or activate cashback. How do I redeem my Clovers? 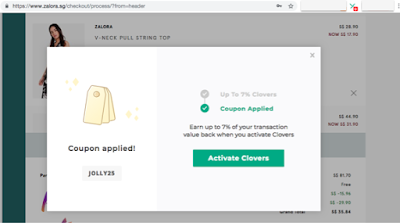 On your Account Dashboard, you can easily choose to redeem your “Clovers” for cash, cryptocurrencies (BTC, ETH, RTE) or gift cards. Pretty soon, travel hackers will be able to convert Clovers into miles as well! You don't even need to do anything - just install the RateX browser extension and let "Ralph" do all the work for you. Yes, it is almost automatic! So whether you've been shopping on Colourpop for cheap makeup, purchasing your flights and hotels online, buying groceries via Redmart or even getting children books from Book Depository...don't forget to use RateX the next time so you can save even more money. 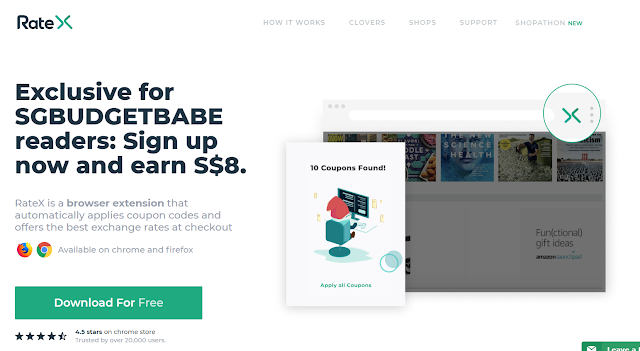 And if you need a promo code to get started, use "SGBUDGETBABE" to redeem $8 of Clovers immediately today! 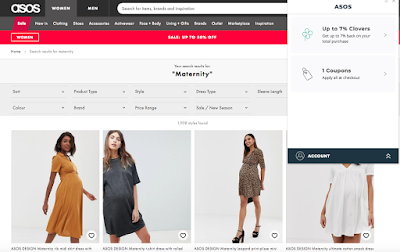 Disclaimer: This post contains affiliate links, and was written in collaboration with RateX, a team I've known since 2015, which was when I first told them I loved their initiative to help shoppers pay less when shopping online. Their cashback (Clovers) initiative is a newer addition to their offering and I am only happy to support them. All opinions in this post are that of my own.